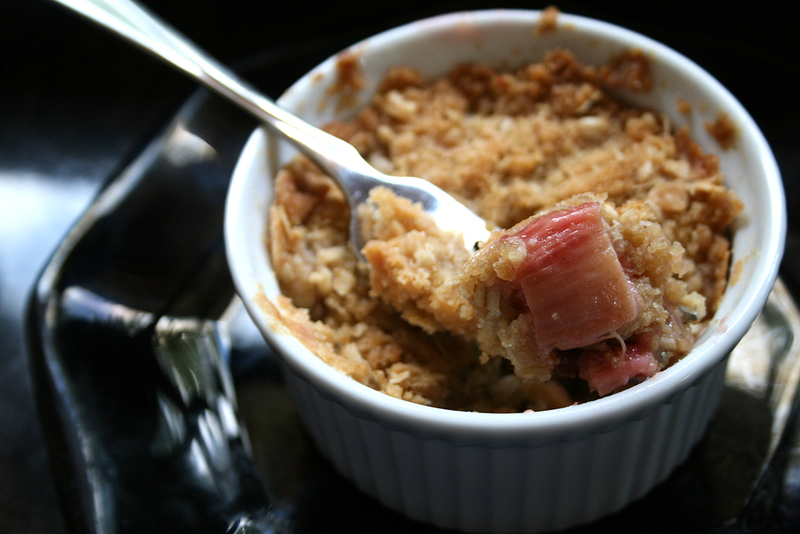 This recipe is an adaptation of one found on the appropriately named food.com. By making changes that several contributors suggested the desert has a satisfying balance of sweet and tart. These changes call for less sugar and more filling, making this version a win-win! The original recipe can be found here. 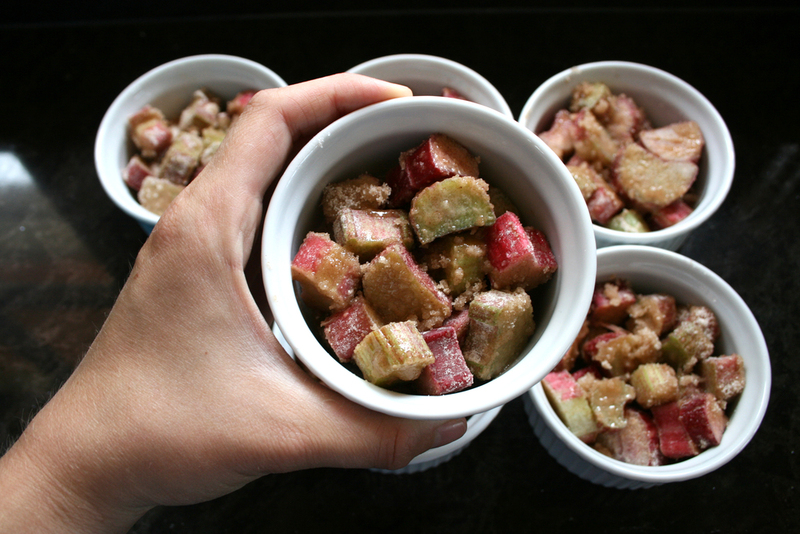 Combine rhubarb, sugar, flour and cinnamon and put into 8" x 8" x 2" glass baking dish. For this particular batch, I used 6 circular corningware dishes to create personal desserts. 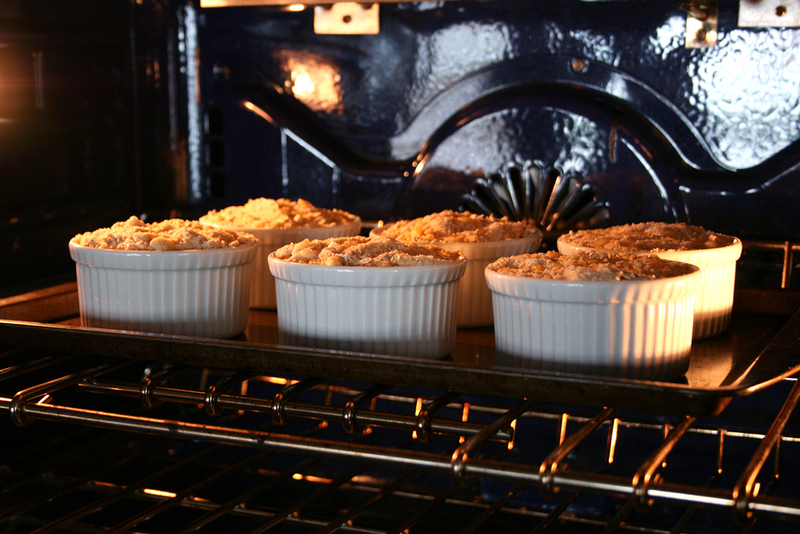 Combine flour, brown sugar, rolled oats and melted butter. 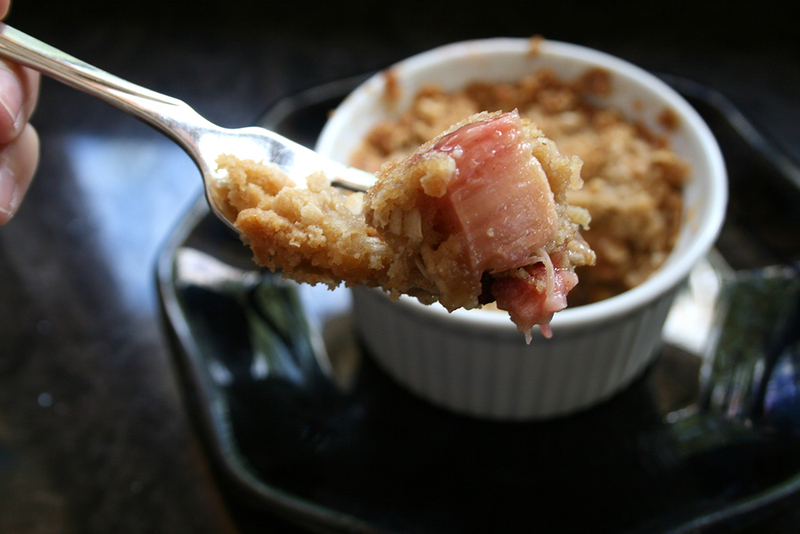 Sprinkle streusel over rhubarb mixture. Accident prone? Was your high school nickname 'butterfingers'? Consider placing the corningware on top of a cookie sheet. This not only aids in rotating and removing the containers from the oven, but it serves as a safety net incase the filling bubbles over! By placing the filling in smaller containers, I find it easier to not only serve the desert once its finished, but to keep track of portion size as well!